More and more websites offer live chat support today so that their customers can get immediate and thoughtful service whenever they need. However, sometimes like many other tools live chat is being misused and customers instead of receiving smooth and pleasant customer experience leave the chat room angry or disappointed. Why does this happen? You cannot ignore the fact that live chat etiquette already exists and customers expect specific behavior and attitude. When the pattern is broken customers feel frustrated and rate your service as poor. Chat conversations can be easily saved and shared on social media, like this happened with Amazon’s dissatisfied customer who spread the word about negative experience with one of employees. To avoid such situations you need to train your customer service team to treat customers politely and with respect. In this blog post I would like to offer 10 tips for being polite on live chat. Avoid saying “NO”. No business can give every customer a yes every time. However saying “NO” from the very beginning of the conversation will bring more negativity while delivering bad news. Wrap your bad news in positive phrases, offer an alternative and apologize. It is important to show that you are on your customers’ side and you are their advocate. If your customers come with a detailed bug description, with a feedback about your products or services or with feature suggestion, thank them sincerely and follow up after the bug has been fixed or a new feature released. In such situation silence is a killer. Any type of warm thank you will be appreciated. You can reply with a “Thank you for bringing this to our attention” or preferably “We really appreciate you taking time to report this issue”. Helpful can sound patronizing when said in the wrong way or at the wrong time. Kate Nasser has a great article on this topic and offers excellent recommendations for avoiding patronizing tone while communicating with people. Keep in mind that not all customers want to be treated the same way as you want to be treated. Listen to your customers and find the best approach to them after analyzing carefully their needs. This will help you not only to be polite on live chat but also will show that you care about people. Not knowing the answer to a question is a difficult scenario for anyone to be in. However, this is not the situation when you should say “I do not know”. Your customers do not care that you do not know something. They expect you to provide them with a solution. Calm down and find this out for them. Phrases like “Give me a moment I’ll find this out for you” or “Let me quickly check this for you” will not reveal that you are helpless here or do not know something. They will show your effort to assist and take care of the issue. Ensure your customer support team has excellent grammar and spelling skills. Otherwise your customers will think you do not value them and your entire business will seem unprofessional. Do not lose the track of conversation even if a customer wants to discuss something else. Your main goal is to solve a customer’s issue. Steer the conversation back in a polite manner and continue working on the customer’s problem. According to Accenture survey 66% of consumers switch to other brands due to poor customer service. That is why excellent customer service level should be the main goal for any business. Good customer service leads to more benefits for your business such as improved customer loyalty, increased sales and greater reviews. That is why it is important to remain professional and be polite on live chat. Customer loyalty will be the greatest reward for this. This entry was posted in Articles and tagged live chat etiquette. Bookmark the permalink. I hope all companies find your website to learn the practices you teach about care. The quality of the service in general is terrible in the companies, the attendants are very unpleasant and do not treat you with respect. I assure you that if you improve this service, you will greatly increase your income. Thank you for your comment. You are right, not all companies focus on customer service quality. However, the happier your customers are, the better are your sales. Happy customers spread the word about your business and new customer come to your online store attracted by positive reviews. I work in a live chat service and people do absurd things! It should be our responsibility to develop etiquette and nurture it to the required standards so that we can maintain the social ties. The choice of the language which we use determines a lot on the way we socialize. There is therefore a need to always be cautious and engage our conscience. Thank you for your comment. You are right, this is company’s responsibility to maintain the high level of customer service quality. I totally agree with you that saying No to a customer from the very beginning will bring more negativity and as such it is wise to deliver bad news in a more skillful way such as by giving an alternative and apologizing. This is such a helpful post. 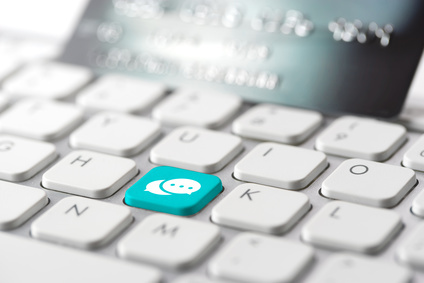 Being polite on chat – this is very important in marketing. It is essential to share positive vibe with the customer and make them to feel comfortable. Thanks for Sharing this Amazing Post. I will Surely Share it on Social Media with My Friends. Nice Article and hope every agency needs to read this article and implement it. Agencies Offer Live Chat Software Support but some time they failed to provide good services to their customers or visitors. Live chat is not just a piece of cake, it’s strictly business. Thanks a lot for those tips. I’m working as a customer support now and this is really helpful. Thanks for this 10 tips for polite on live chat.. i have bookmarked your website so thanks a lot this. I am learning to do live chat, thank you for the precious tips my friend! Precious tips, thank you! I’m going to do my first live chat and I’m getting ready already.